It's been nearly a year since the first season of Stranger Things was released to Netflix. 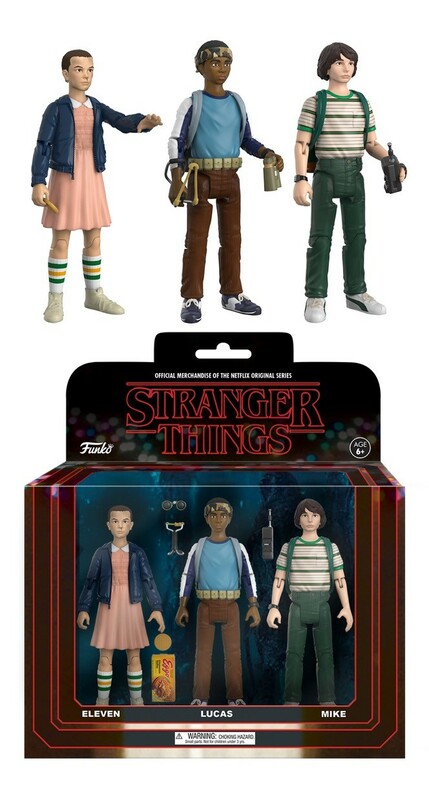 It's also another long 4 months until Season 2 debuts on Halloween 2017. But in the meantime, Funko just announced a great new way to celebrate the first season, new 3 3/4 inch action figures! 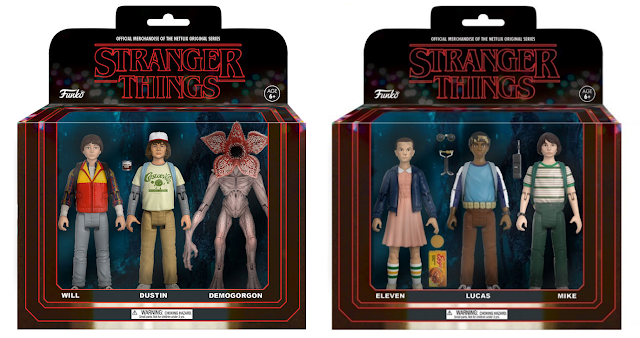 Our favorite Hawkins, Indiana kids, Eleven and the Demogorgan will be featured in two 3-pack sets. Set #1 includes Eleven with a pack of Eggos, Lucas with a slingshot and binoculars, and Mike with a walkie talkie. 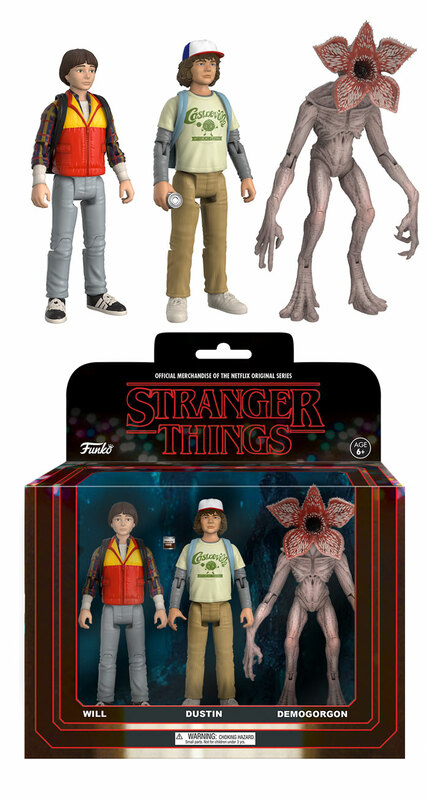 Set #2 includes Will with his backpack, Dustin with a can of chocolate pudding, and the frightening Demogorgon.